Home, Door and Window Products has over three decades of experience in the storm door industry, providing the Greater Detroit Metropolitan area with top brands storm doors from the best manufacturers, such as Fox storm doors and Trapp storm doors. If you are purchasing a storm door for safety, add our security storm doors to your residence, they will help keep your home safe, plus add curb appeal. Home and Door’s experienced staff can help you chose the best storm door for your beautiful Fraser home or business. Fraser, Michigan is part of Metro Detroit and lies in Macomb County with a population of 14,480 residents. We have an outstanding reputation with our Fraser customers and they recommend their family and friends to purchase their storm doors and other products from Home and Door. We have a variety of security storm doors in our showroom, and our experienced and knowledgeable sales team will help you chose a perfect storm door that fits your budget and homes style. 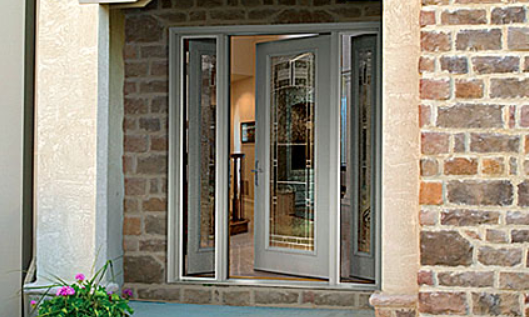 Home and Door offers innovations and technologies in our premium storm doors. Home and Door has a large selection of Fox storm doors and Trapp storm doors on display at our gorgeous showroom in Berkley, Michigan. We will help you find the storm door that matches the style of your home. Our luxurious storm doors come in various styles, finishes, and colors. We have been in the business for over 30 years because we are knowledgeable, reliable and affordable. Home and Door offers FREE estimates, quality craftsmanship, and excellent customer service. Call Home, Door and Window Products today at (248) 399-9900 to get a free in-home estimate!